Yep. 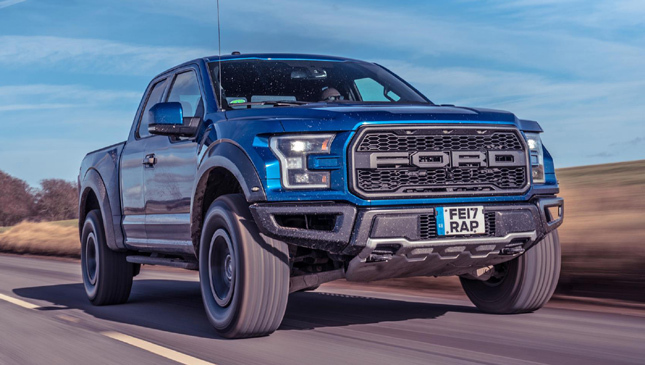 This is a US-market Ford F-150 Raptor, and we've shoehorned it onto a tight and twisting British B-road. Not really its natural home. 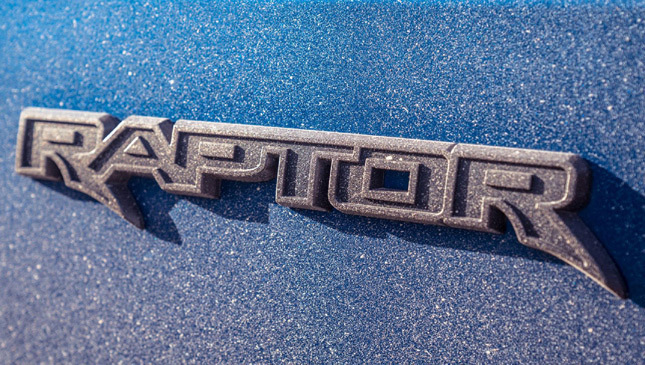 Ford knows it, too, and we won't officially get the Raptor here. 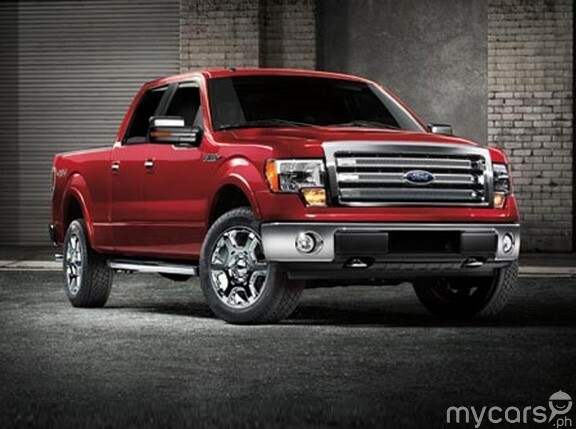 Mind, a London dealer is importing them, so we thought we'd check to see if the F-150 actually fits. It does. Just. I assume there's a mad, rumbling V8 behind that unsubtle Ford emblem? Actually, it's a V6. Even F-150 Raptors can't shirk the need to downsize. It's no ordinary V6, though. 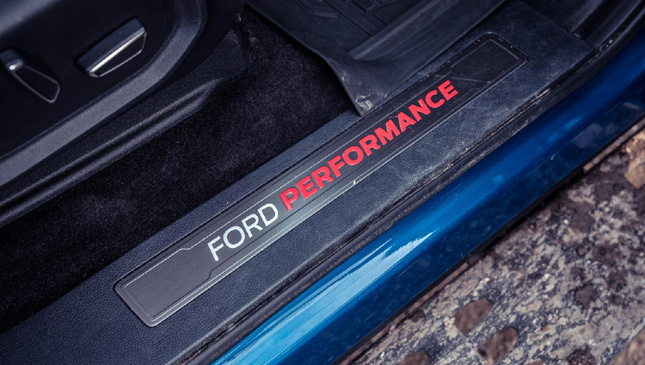 It's essentially the same turbocharged 3.5-liter Ecoboost unit you'll find in the Ford GT, albeit in a softer tune. Its 450hp and 691Nm peaks are still pretty punchy. 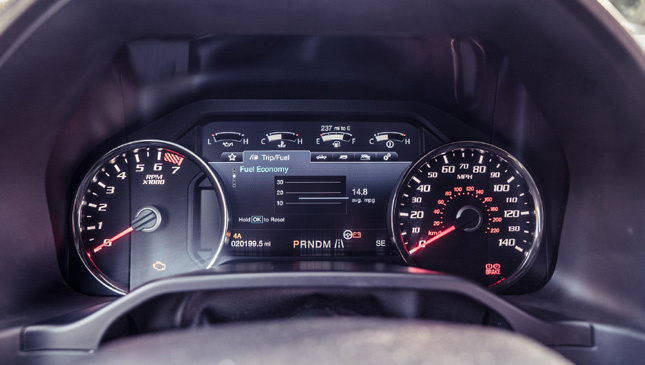 Punchy enough to propel the Raptor to a 172kph top speed. 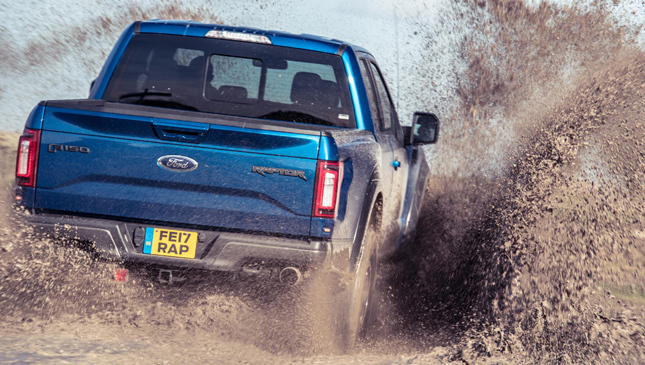 Four-wheel drive is standard, as you'd hope, but the Raptor defaults to two-wheel drive for road use. 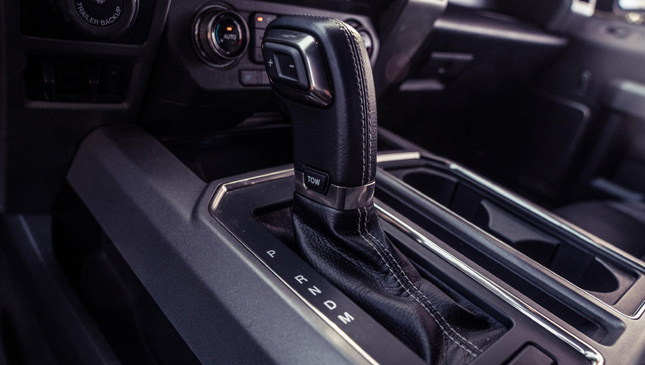 The engine comes only with a 10-speed automatic gearbox, with some tactile metallic paddles should you wish to bravely wade into juggling those ratios yourself. It's probably worth packing an abacus to have a hope of keeping up with which gear you're in. Leave the gearbox to work things out for itself and it proves the V6 is more than torquey enough to act the role of a V8. 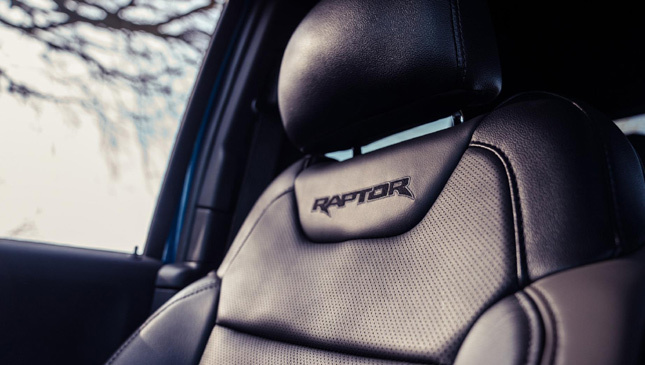 The Raptor is also miraculously quiet and relaxing at a 113kph cruise. Fine. Find an intricate piece of road and it's anything but quiet and relaxing. At low speed it's fairly fidgety. 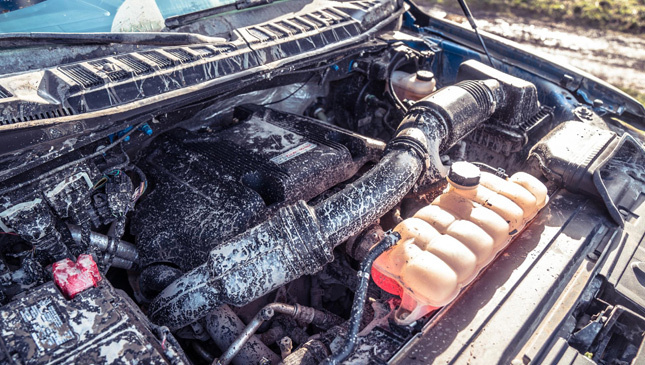 For all of its fancy terrain mode choices and Fox shocks, this is still a fairly rugged vehicle under the skin, one that needs some load in its suspension to properly settle down. You're left with a vehicle that patters around over small lumps and bumps, but then sails over tricky pot holes and elaborate speed bumps like they’re not there. It makes mountains out of molehills, but will, presumably, make a molehill out of a mountain. Give it a proper challenge and it really wants to get stuck in. The faster and harder you go, the more sense it makes. 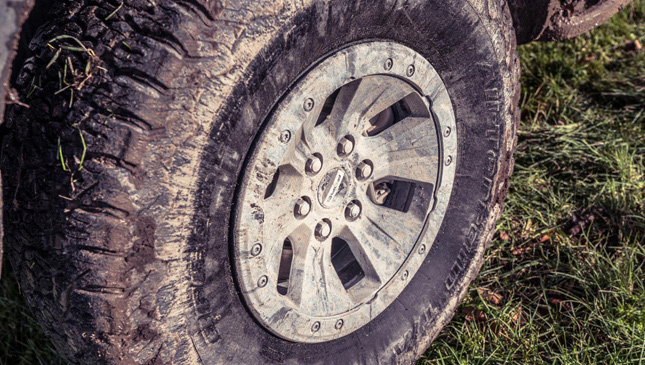 You said two-wheel drive. Does it drift? Find a barren desert floor and we imagine it'll drift all day long. 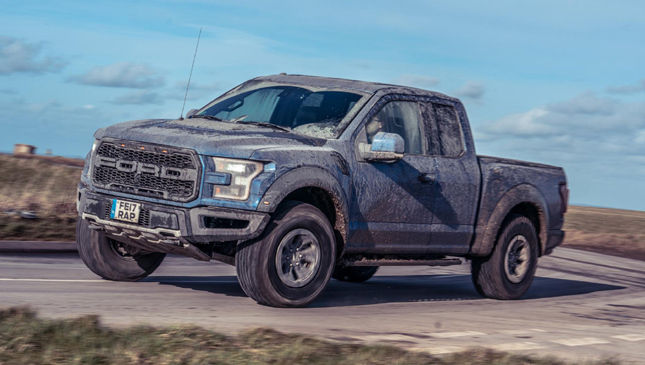 There's an irresistible boisterousness to the Raptor when it's rear-drive only, from pulling away, as it squirms and scrabbles for grip, to tight corners, where it'll smear its tires the tiniest bit before the stability control uncouthly muscles in. Mind, boisterous cornering means heavy use of the brakes, which start to smell very hot, very quickly. Treating it like an uncommonly talented Porsche Cayenne Turbo or Range Rover SVR is definitely not the best approach. Better to be smoother and more measured, avoiding sudden inputs. 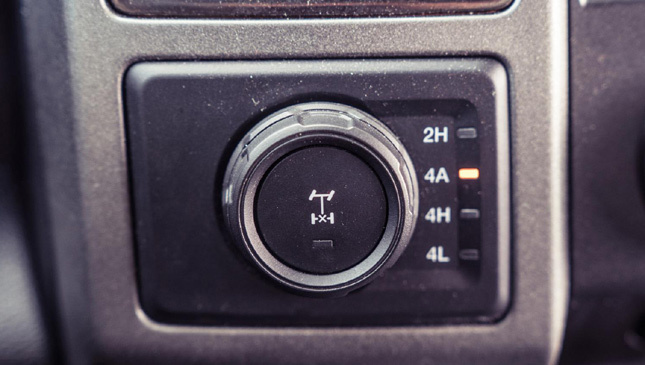 Then it can be an extremely satisfying thing to drive briskly. And flipping heck, it is brisk. Something this heavy (and bluff) is never going to make 450hp feel as assertive as it is in a BMW M4 or suchlike. 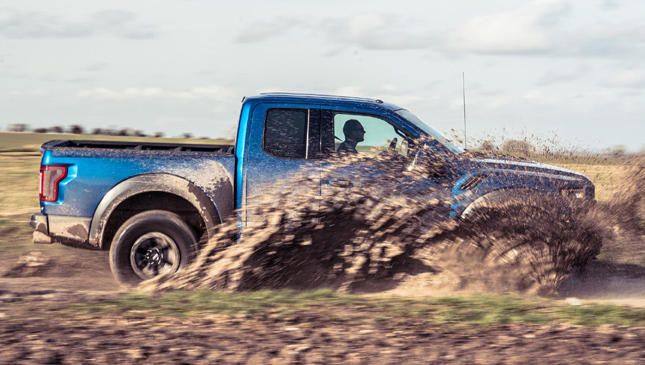 Yet the way the Raptor lunges at the horizon in a low gear is laugh-out-loud funny. It's not intimidatingly wide, either. It takes some getting used to. But it's so slab-sided, you'll soon be threading it through gaps and past parked cars without too much concern. There are a plethora of cameras and sensors to help you park the thing, too. The reversing camera has been ingeniously angled so that it doesn't get all muddy. Looks like you got the rest of it muddy, though. 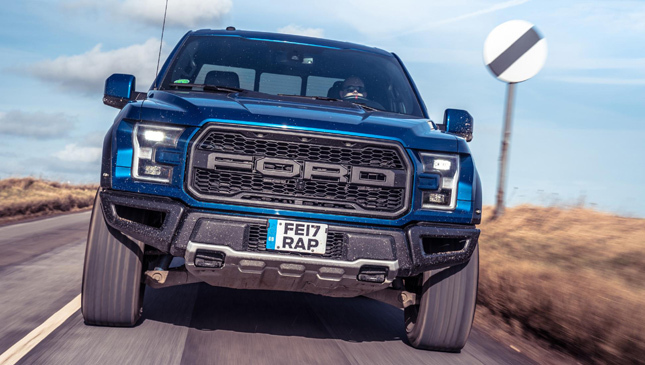 Well, we could talk all day about how surprisingly accomplished the Raptor is at brisk road driving or sensible motorway cruising, but it's built for neither. 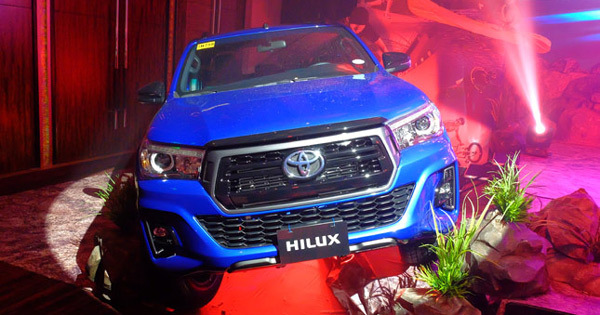 And it's amazing how quickly it'll open your eyes to unexpected off-roading opportunities. 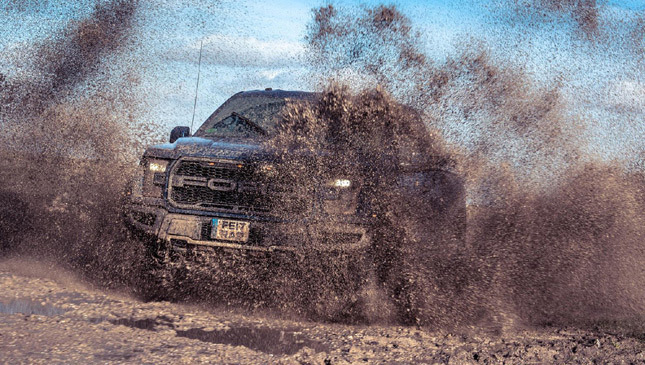 Drive a Raptor and your brain becomes hyper-alert to opportunities to bury it in mud and drench it in puddles. At which point it all makes sense, the whole thing feels in its element. It's like a big, dependable dog that will happily walk sensibly round the block with you, but which really--whenever possible--wants to be chasing rodents and getting dirt all over its belly. On the one hand, it's supremely practical, capable of towing nearly three tons behind its ginormous load bay. Even the cubby hole between the driver and front passenger can swallow an ambitiously stuffed rucksack. On the other, it's a toy of the most wondrously daft variety. Yet it offers a curious middle ground. 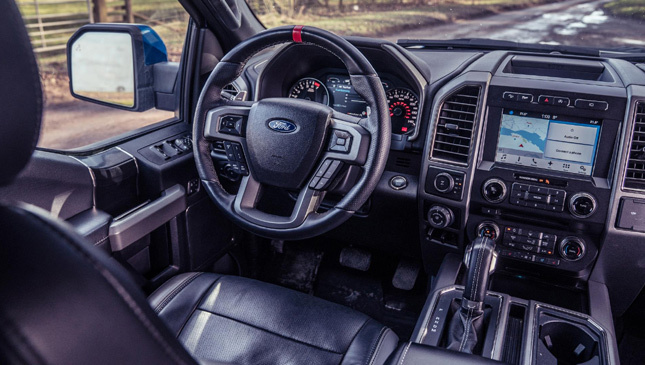 As the SUV market exponentially grows, the benefits of a soft-roader's slightly taller driving position dwindle--it's no use if everyone's at the same height. But here's something taller than any SUV or pickup, and considerably more rugged to look at. 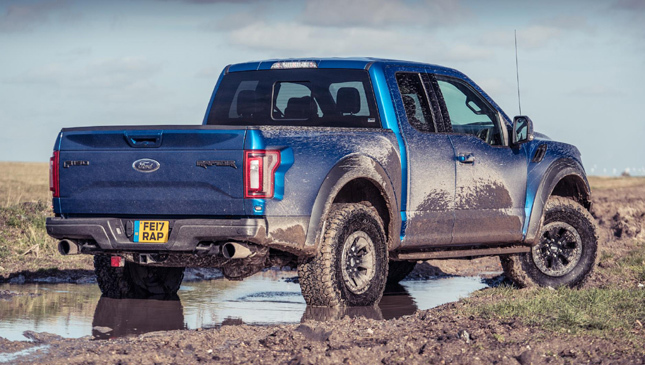 The Raptor’s silly, but indulgently, gloriously so.